Roman copy of Greek statue C2nd B.C. Restorations by Nicolas Cordier (1609). 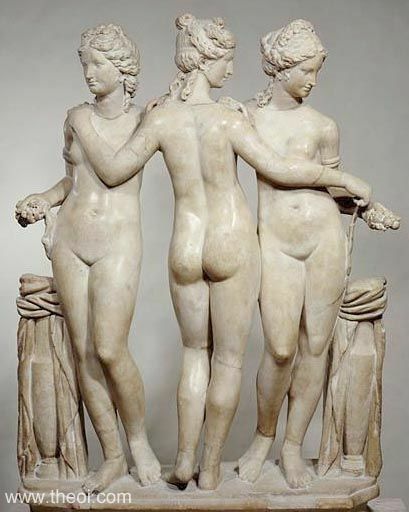 The three Charites (Graces) dance naked in a circle, each resting a hand on the shoulder of another. Their robes are draped over a pair of vases standing to either side.